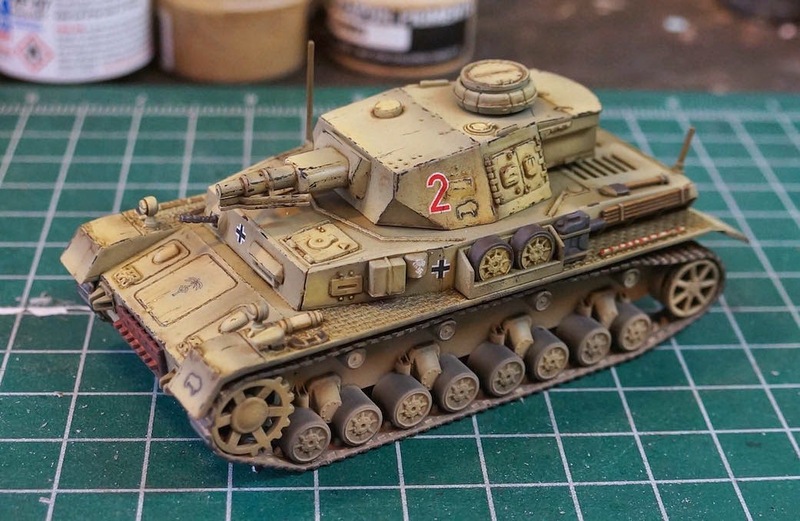 A while back I ordered a Warlord Panzer IV kit from the UK. It arrived missing a few key parts due to some shipping problems, but Warlord's excellent customer service sorted it out quickly and sent me a replacement. On to painting. 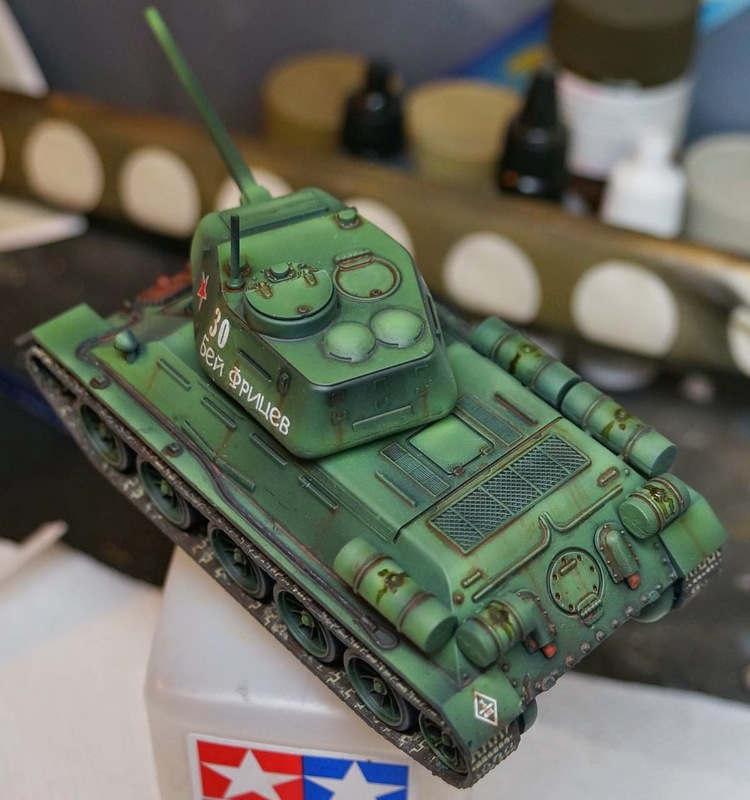 The T34 rekindled my love for vibrant armies, though with DAK on my painting table, I focus that into changing up my recipe a tiny bit. Crazy I know, but this time I added yellow to my armor shading. I think that worked out well. 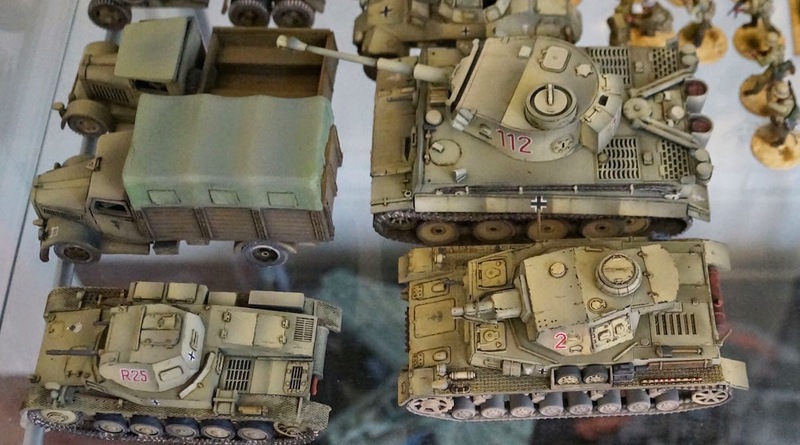 Next up are a Panzer III, and a long barrel Panzer IV. 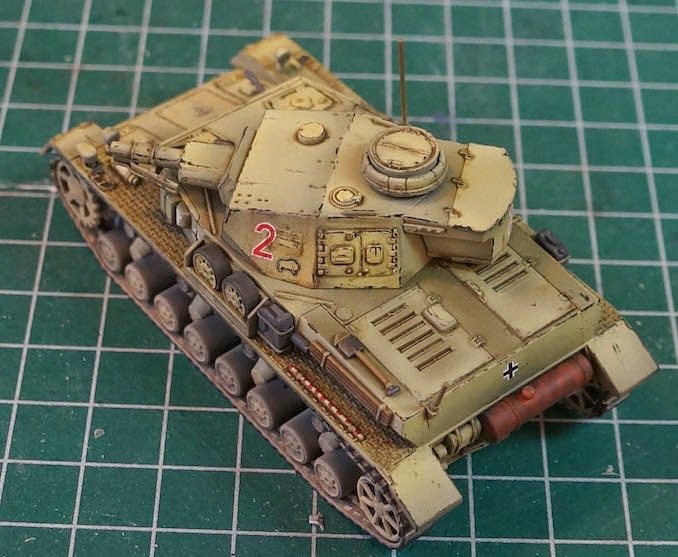 That should give me a nice hodge-podge mix of tanks to use with the motorized infantry. 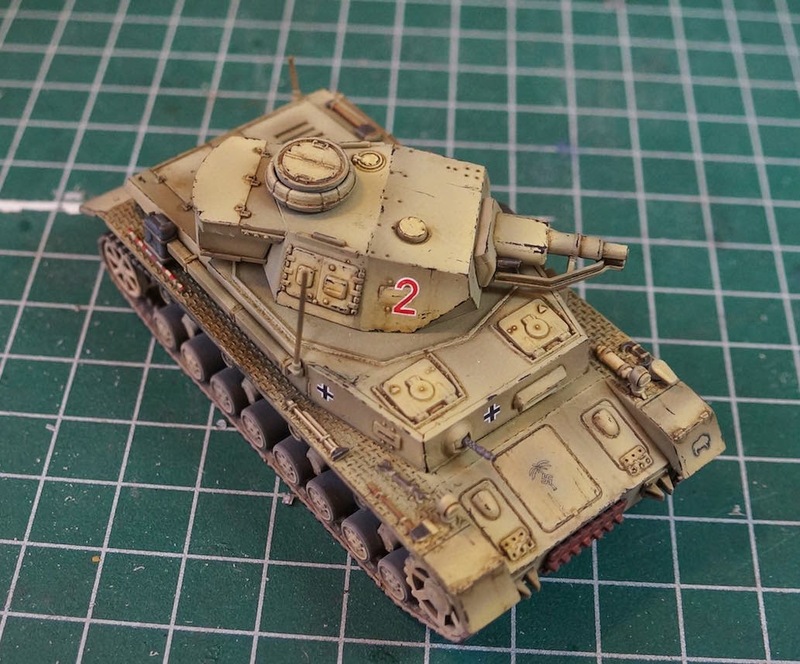 I think tank war might require more than that, but one of them is a Tiger. That has to count for something. 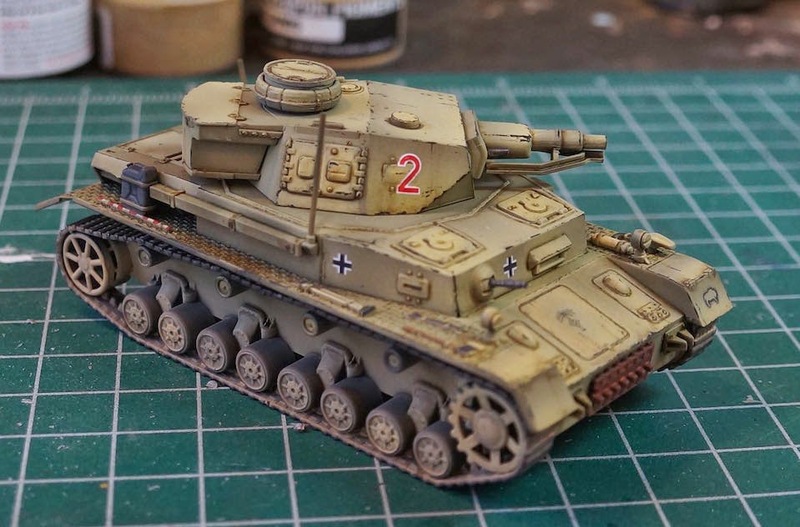 While Steve busily paints up his Australians for our North Africa campaign, I've been sneakily painting up the big cats of the desert war. 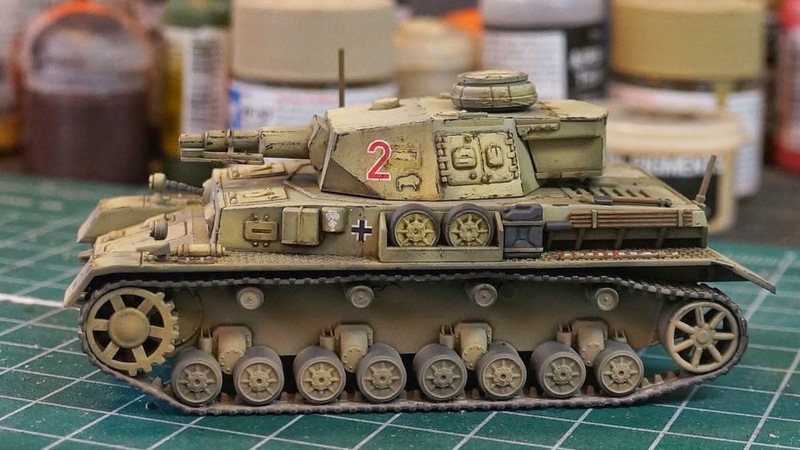 Flak 88's and Tiger tanks are iconic of the desert campaign, and give the axis force the right flavor. 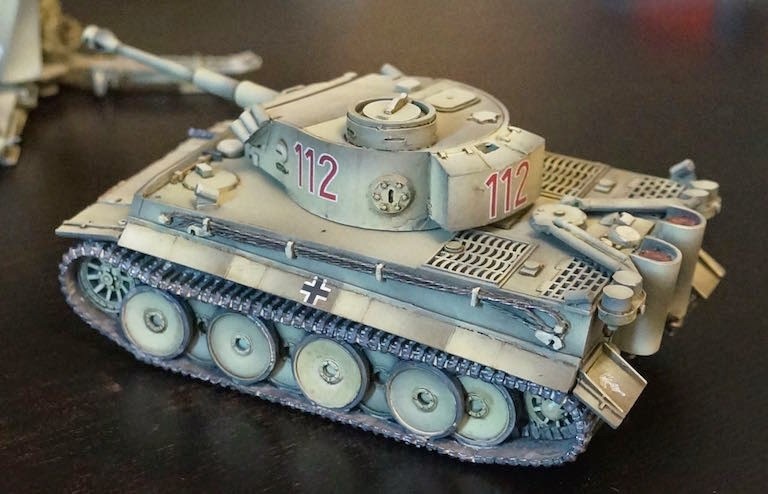 Allied tanks rightly feared both. 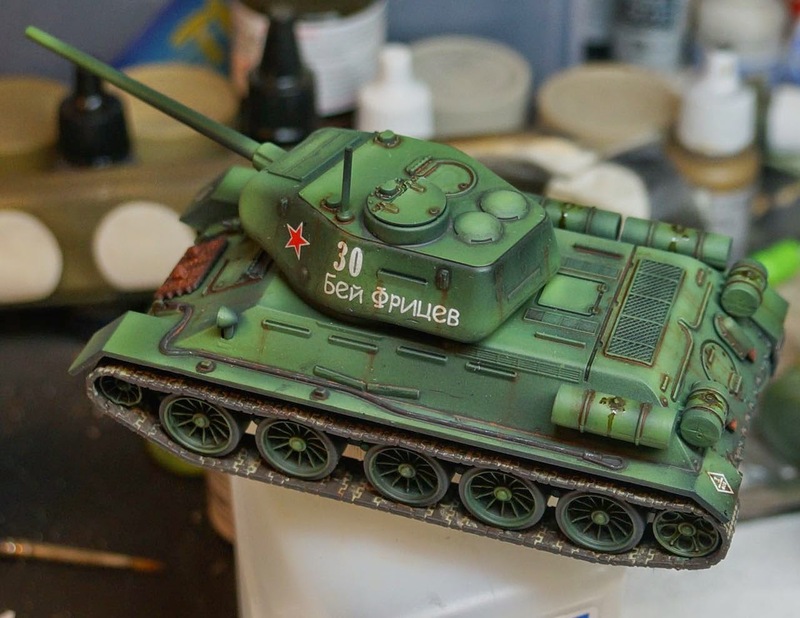 What you see in these photos are the base colors, transfers, and oils completed. 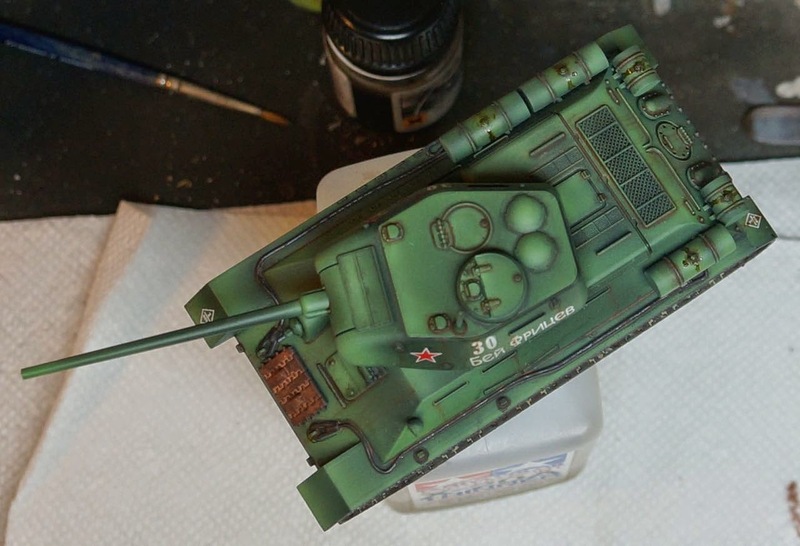 Weathering powders and chipping have yet to be applied with exception of the rusty exhaust. I mean, who can resist painting a rusty exhaust right? 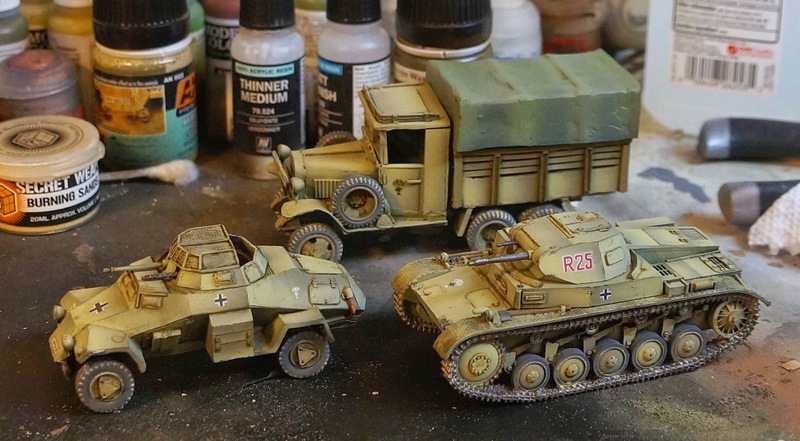 The flak 88 comes with two trailer sections that will eventually be painted to match. At some point we are going to have to play a standard from the book bolt action game. The narrative games have been amazing. Now I am curious how the game stands up with equally matched forces. Would I enjoy playing this game in a tournament? 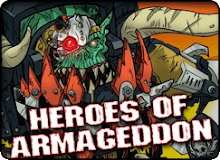 Another experiment worth trying is playing a game of 40K using hybridized Bolt Action rules. I love 40K, and I have a fun army to paint, but the rules and game durations have made the game more of a marathon than I like. 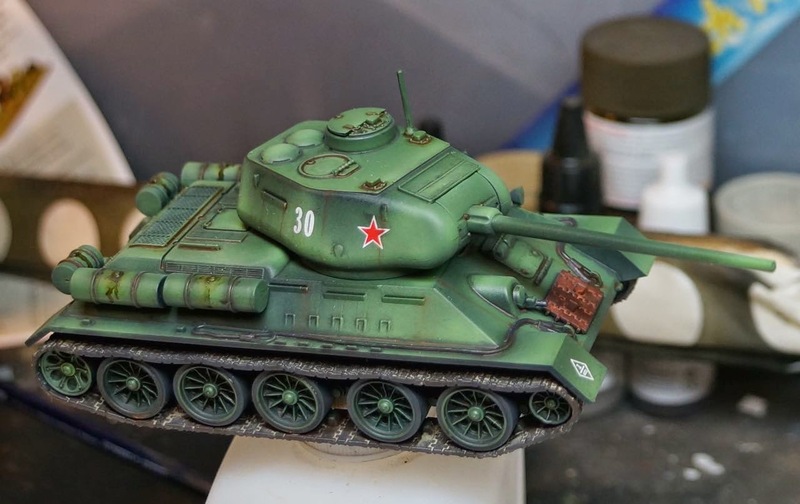 Why not just bolt on the story and miniatures from 40k onto the Bolt Action rule set? It would be fun seeing Space Marines function they way they appear to in the novels. One 10 man squad should be able to take out a platoon of infantry without much difficulty. 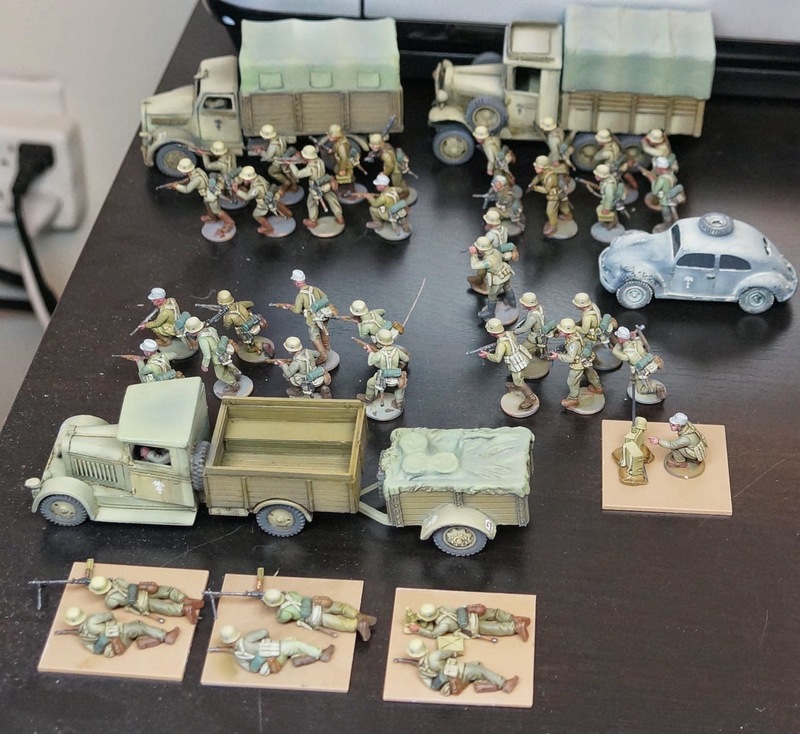 I have been furiously painting my DAK force in preparation for our group's North Africa campaign, but I hope to use it for regular pick up games as well. That is where I hit a snag. I don't have a clue how to build a reasonable list for BA. At this point I am just painting things that I find interesting and look like they would go together. A quick dip into the BA forums last night leads me to believe that transports are fairly bad game wise. However I just can't imagine a DAK force that is not fully motorized. With a new year comes a new army. 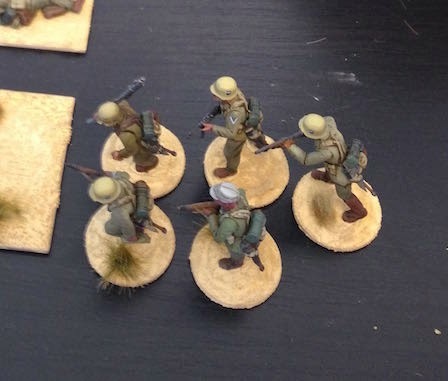 The second half of my Bolt Action DAK miniatures are painted. 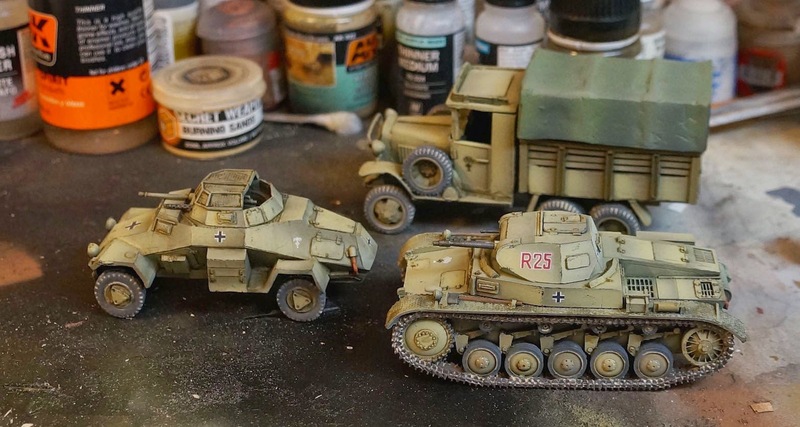 I still have not figured out basing, that will have to wait until my second box of Perry Brother's DAK miniatures are painted, but I am really happy with how quickly the force is coming together. It is hard to imagine, but two boxes is all I need infantry wise. Painting these reminded me of the original Space Marine box. 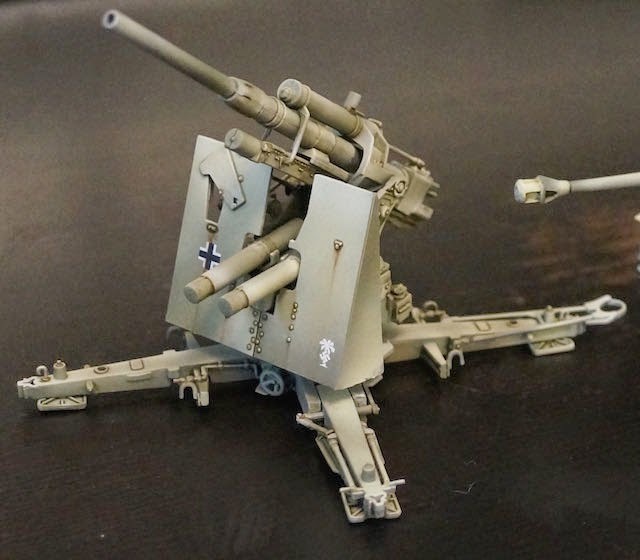 The DAK came with enough forces to actually play the game. I remember building the first Space marine box, and having something like three squads. The Perry box produces a 1000 point army. Add a second box, and that is all that will be needed. The models are very small(smaller in real life than the photo above! ), but better proportioned than the Warlord miniatures. This means the faces are very difficult to paint. They do not have the exaggeration of heroic scale. I'd happily recommend the DAK box for anyone getting into BA. 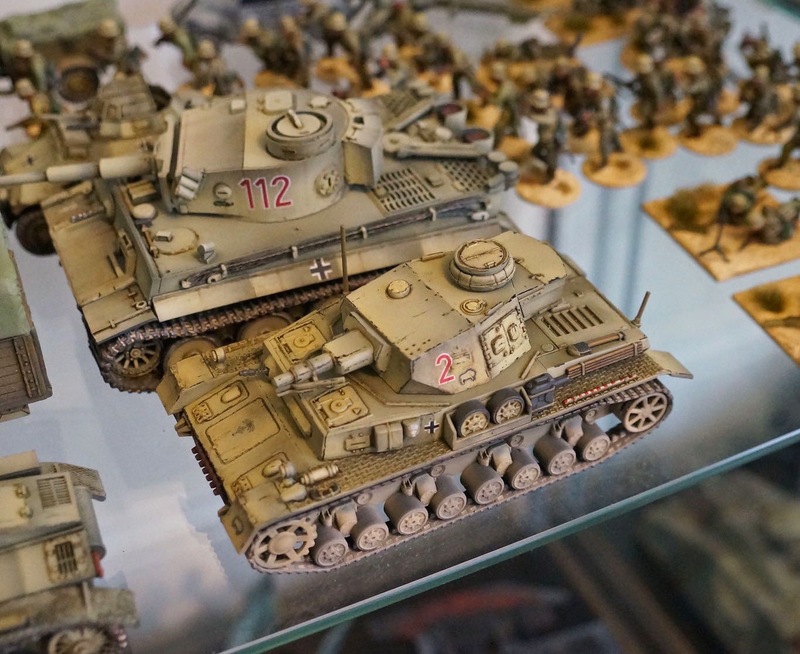 There is also a Desert Rat force that makes a good companion army. Despite being painted quickly, I did some experimentation on them. The photo is a bit saturated, but the uniforms are actually painted in several color variations. I tried to make some more tan, some more green, and others more yellow. 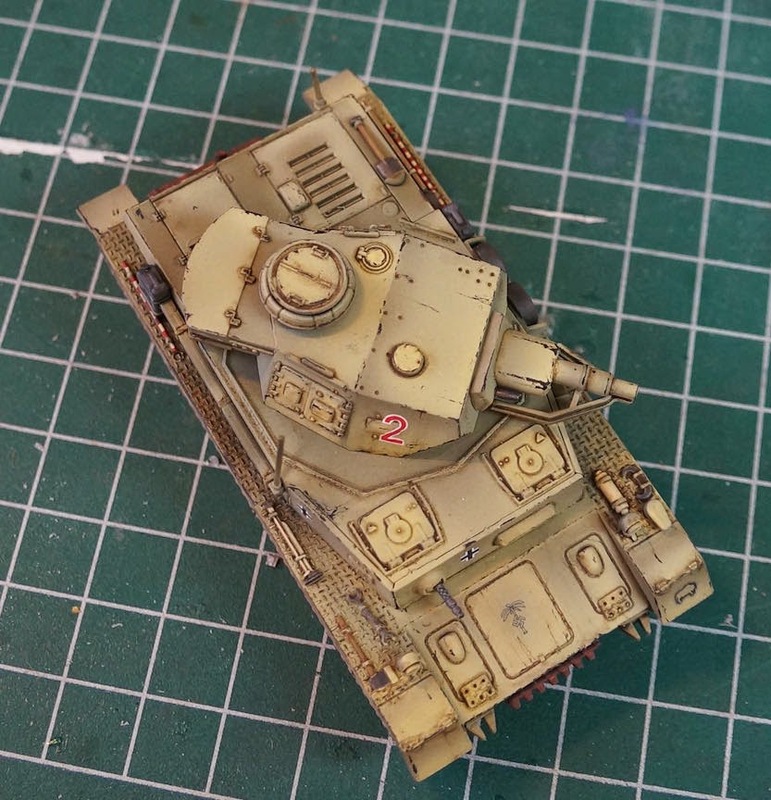 Normally I don't do this when batch painting. The idea is to create a recipe and then follow it. For these guys I just winged it. 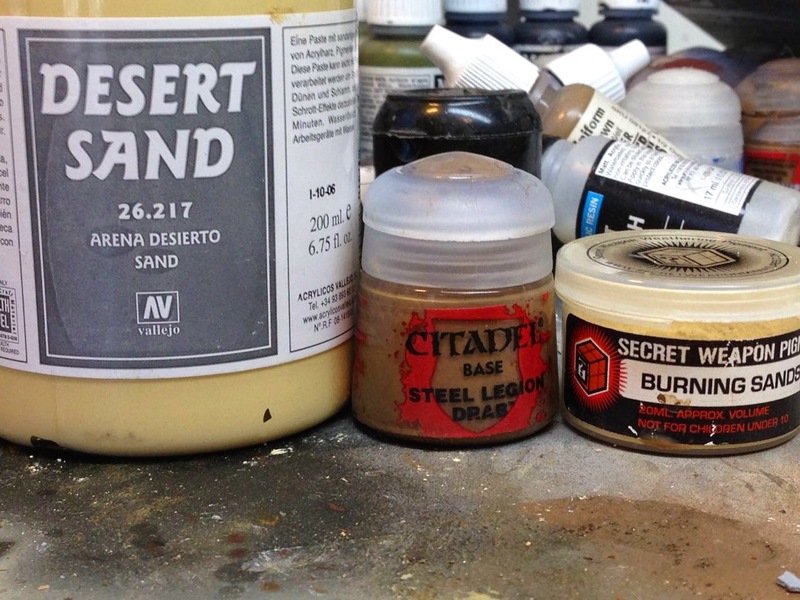 I kept a bunch of paints on the table and grabbed them almost at random. I think the method works, though it made blending a bit rough, as I could never quit get back to the same colors again. 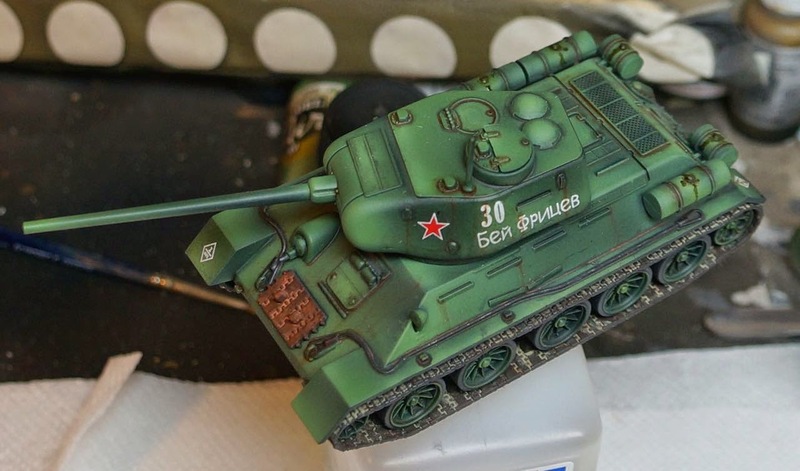 I might try this out on a 40k army. I hope everyone is looking forward to the new year.